Many thanks to Karly Hand of design crisis for writing this crazy animal-themed guest blog spot today. Take it away, Karly! 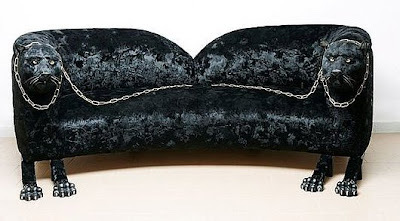 I’m always on the lookout for home decor that makes me giggle. 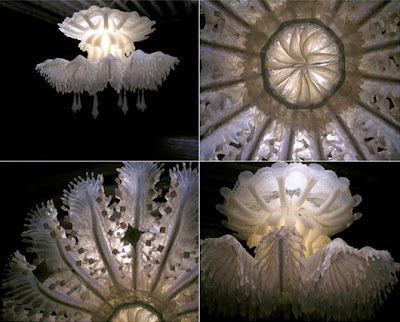 I like pieces that stand out and will always opt for quirky over clever and silly over swanky (bonus if the piece can combine all of the above!). 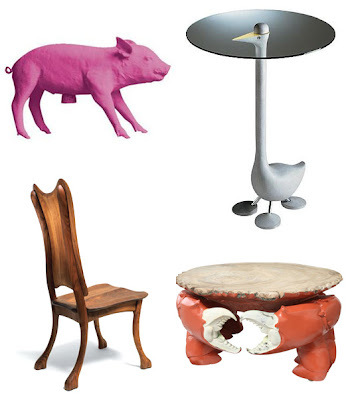 So when I spotted a couple of select pieces of animal-inspired furniture I was in la la la la love! Of all Nature’s four-legged miracles, the horse is hands-down my favorite. They’re such strong, powerful beings and tug at my girly “I want a pony” heartstrings. So when I spotted the Horse Lamp from the genius ladies at Front Design, I nearly fainted at the sight of decor perfection. Did I mention that the horse is LIFE-SIZED? 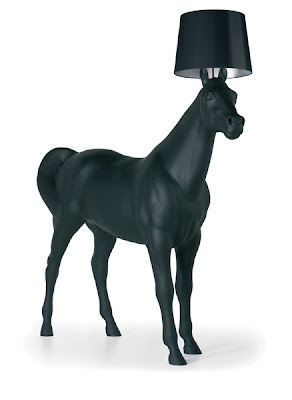 Meaning, one could be so lucky as to have a life-sized horse lighting one’s living room at all times. Swoon! 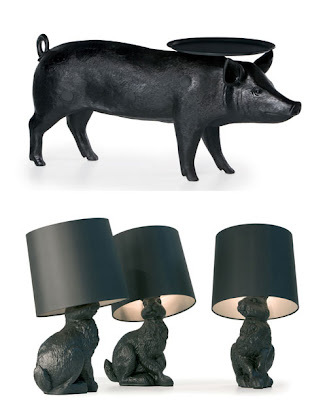 And if rabbits or pigs are more your thing, or perhaps space is an issue, pas de probleme, as Front Design serves up lovely versions of each too, all for moooi. 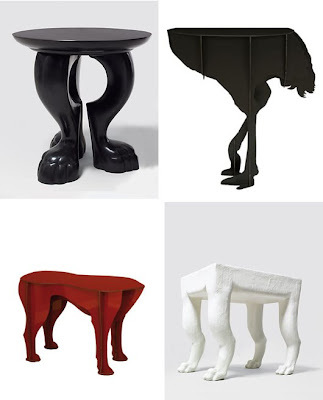 – Ibride Sultan Red Dog Stool (also available at Velocity). The benches are created by fusing vintage wooden Chinese toys with new furniture, then (here’s the part I love) they are painted completely white. I would be quite happy to give any of the toy benches a home in my garden. Would it be tacky to have the 4 color whippet inside my home and the blue one in my yard? The crab table is quite possibly the most amazing thing I have ever seen. I would gladly pitch a tent right on top of it and just make it my home. Oh, lovely crab table, why is there only one of you and why don’t you live at my house? 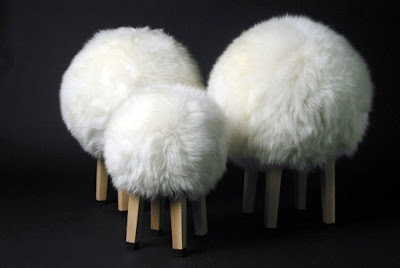 Because I have no meter for tackiness, and invite any and all silly finds into my home, I must insist on also finding a spot for these Sheep Stools from Sam Brown at Leigh Harmer.